Finished T41-T34 at Valderrama in the Volvo Masters and has regained his form after he failed to crack the PGA Tour last season. 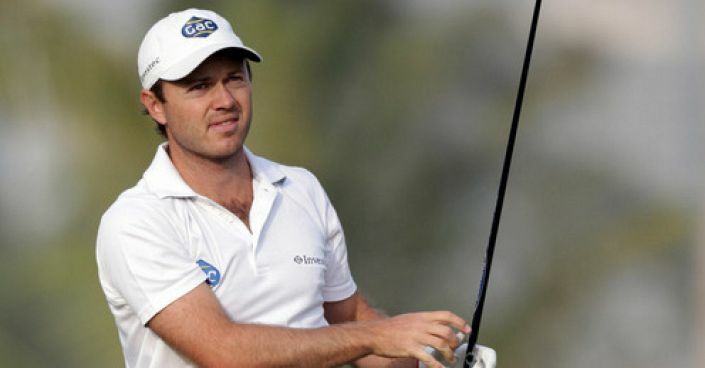 The latest world rankings show three South Africans inside the top-20 but I cannot help but think Richard Sterne would be amongst them if he could have stay fit. The 34-year-old has twice enjoyed prolonged spells inside the world’s top-50 only for his progress to be interrupted by injury or a loss of form. He spent the majority of last year in the US on the PGA Tour but only made one cut (T39 at the Byron Nelson) and failed to make the weekend on 13 separate occasions. A return to South Africa seems to have done him some good because since the turn of the year he has finished T32-T10-MC-T4-T32-21. Any enthusiasm must be tempered by the fact he’s is playing against weaker opposition but at least his confidence is returning. This week he tees it up on the European Tour and Valderrama should be a course he enjoys. He finished T41-T34 on two previous visits (Volvo Masters) and his first tour win came in Spain at the Open de Madrid back in 2004. The 80/1 (Stan James) available on Richard Sterne is fair when you consider he is a six-time tour winner in 253 starts. Finished T21-T7 in the Andalucia Masters at Valderrama and can raise his game in front of a partisan crowd. Ranked ninth for scrambling last season and you need an excellent short-game around Valderrama. Twice a runner-up at PGA Catalunya; in the 2009 Open de Espana and at Final Qualifying last year. Broke par in all four rounds at the PGA Catalunya Stadium Course at last year’s Q-School. Arrives in good form after back-to-back top-20 finishes. One of the best ball-strikers on tour and shot a 65 at PGA Catalunya back in 2011.